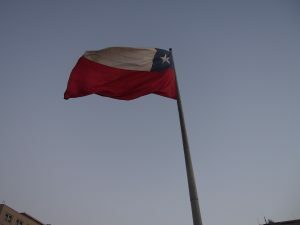 Bienvenidos a Chile! 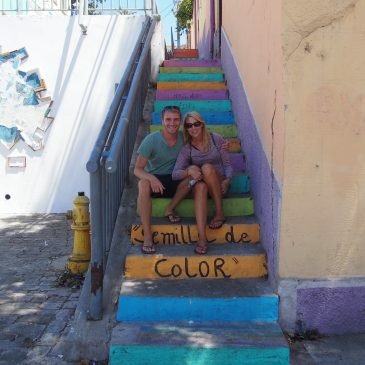 We are finally in South America and have taken it slow for the first week. 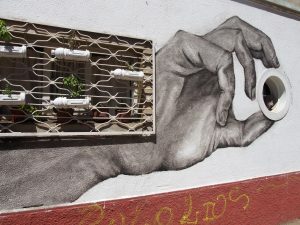 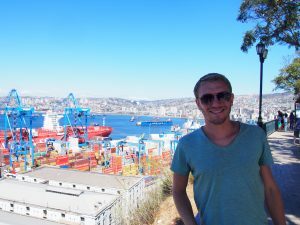 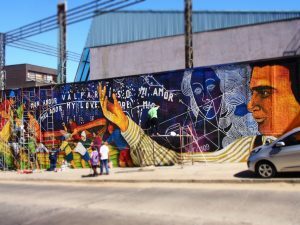 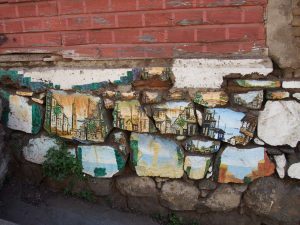 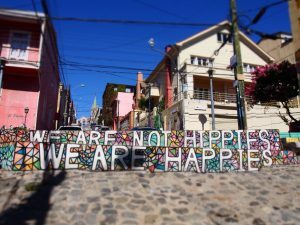 We spent four days in Santiago to get over the jetlag, then moved on to Valparaiso for three days. 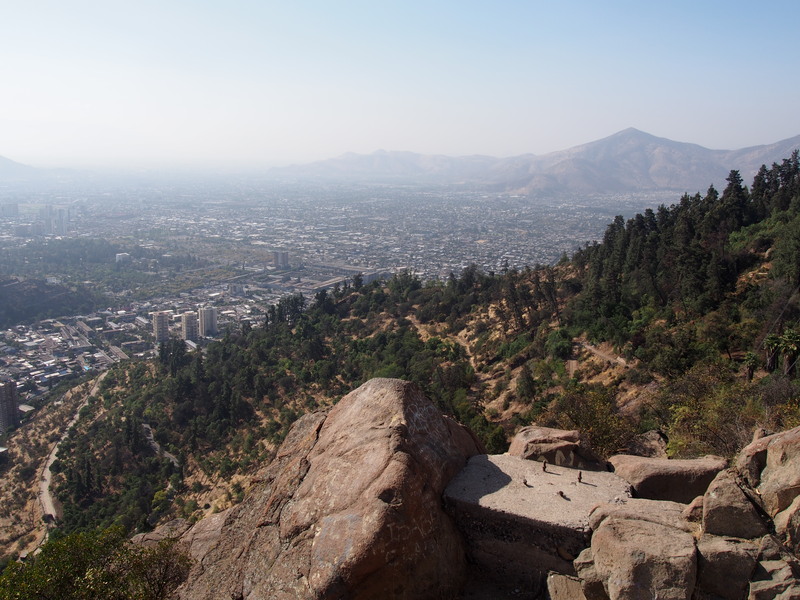 From there we travelled further north to the Elqui Valley. Before talking about Santiago, you have to know that we were really tired when we arrived. 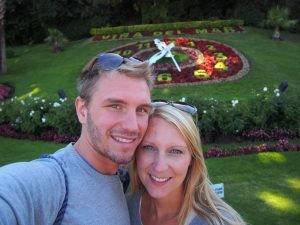 After 17 hours of flights and a time difference of 14 hours between Australia and Chile, we really noticed the jetlag and were dead for three days. 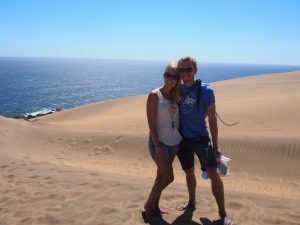 That´s why we decided to stay four nights, to start slow. Getting to a new continent and starting to get used to a new culture is exciting, confusing and tiring. 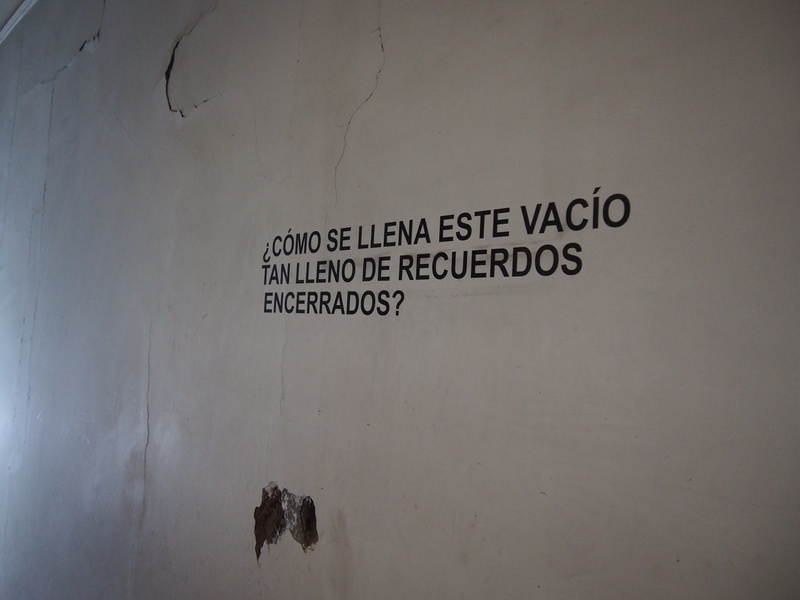 And this time it took us quite long to get used to it. 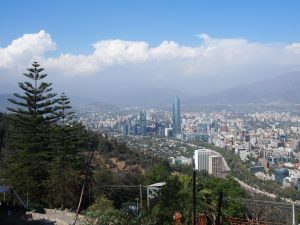 Santiago is based in a hollow between the Andes Mountains and the coastal cordillera in its east. 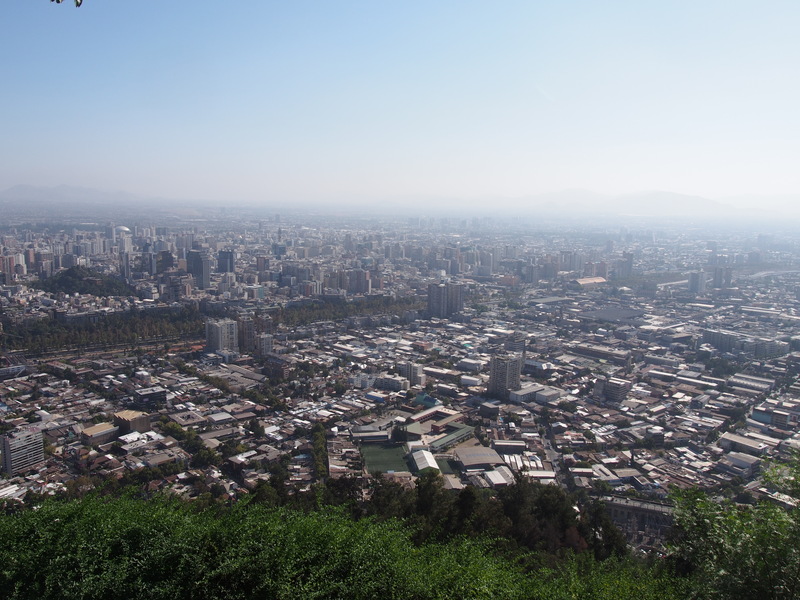 6.5 million people live in the city and including its surroundings, 8 million people live in the area. That is 44% of the population of Chile. 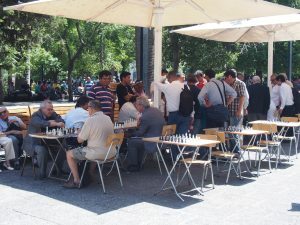 Still, the city is very relaxed, compared to the Asian cities we have visited in the last months. 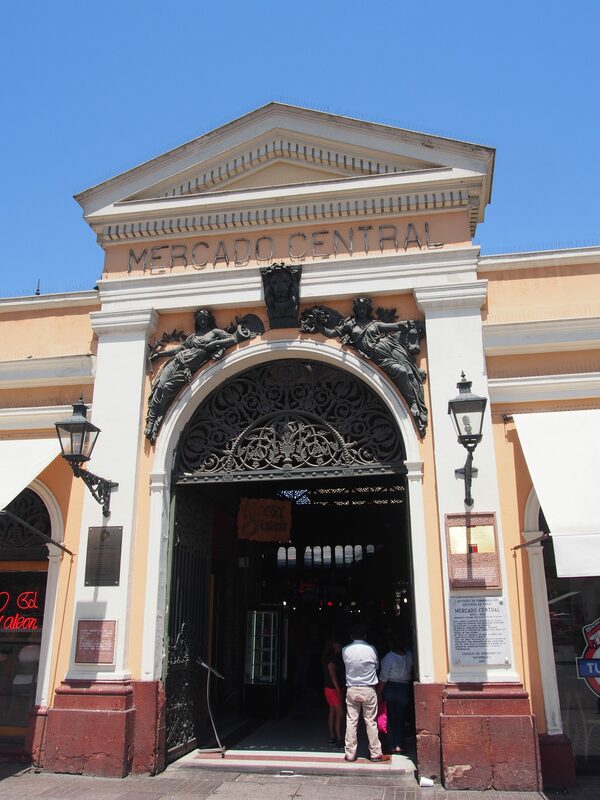 The mercado central is the most famous market of the city. 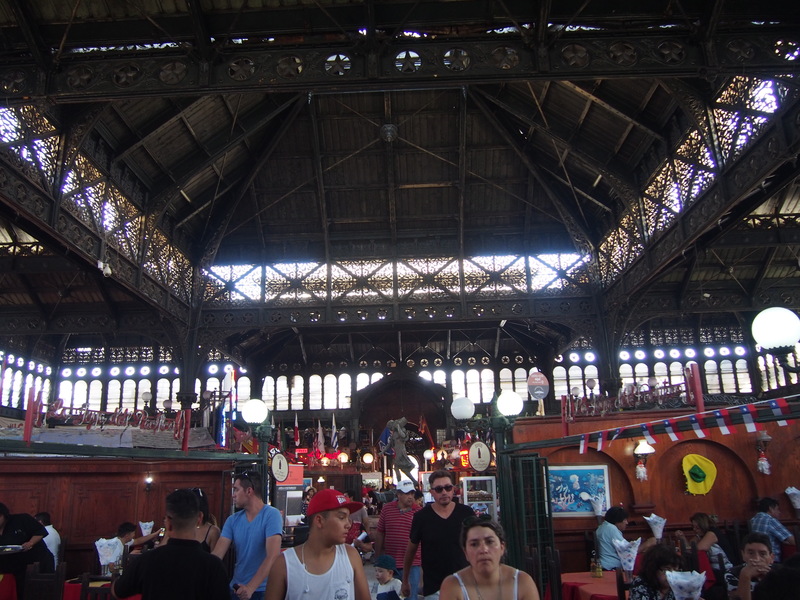 It is in a beautiful old building and sells fruits and vegetables, meat and fish. There are restaurants inside, some serving locals and others that are more touristic. 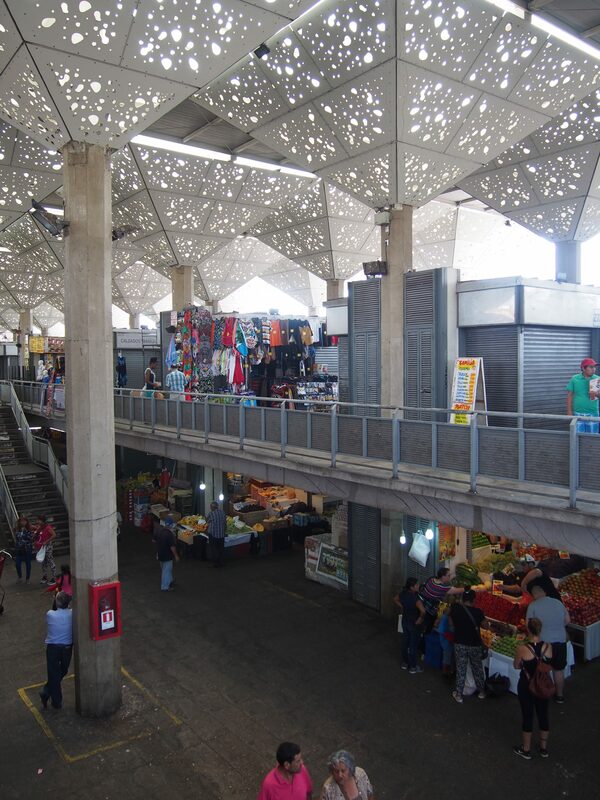 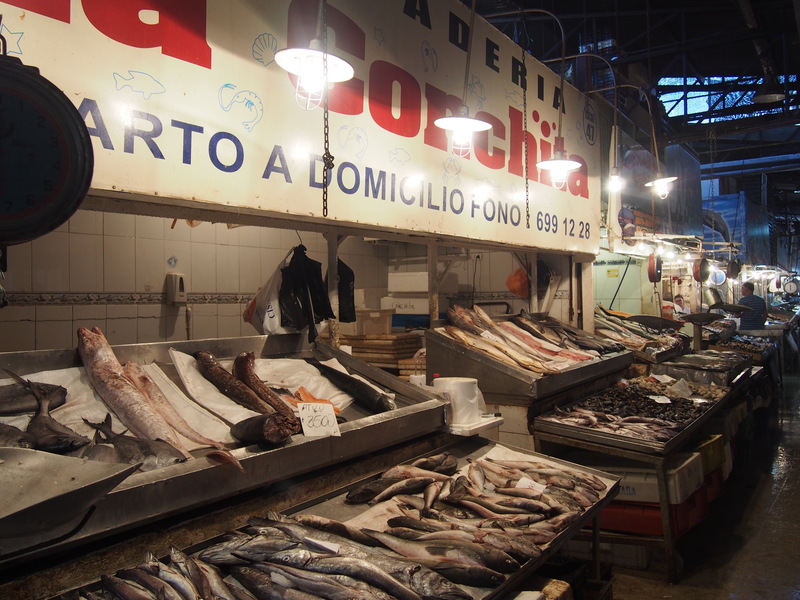 Our host recommended to go to another market just across the street, which was called Mercado Tirso de Molina. 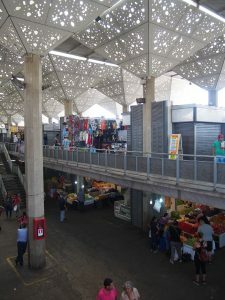 It sells the same things but is much less touristic and therefore cheaper. We had our first Chilean meal here, which was delicious, but it is very heavy food. 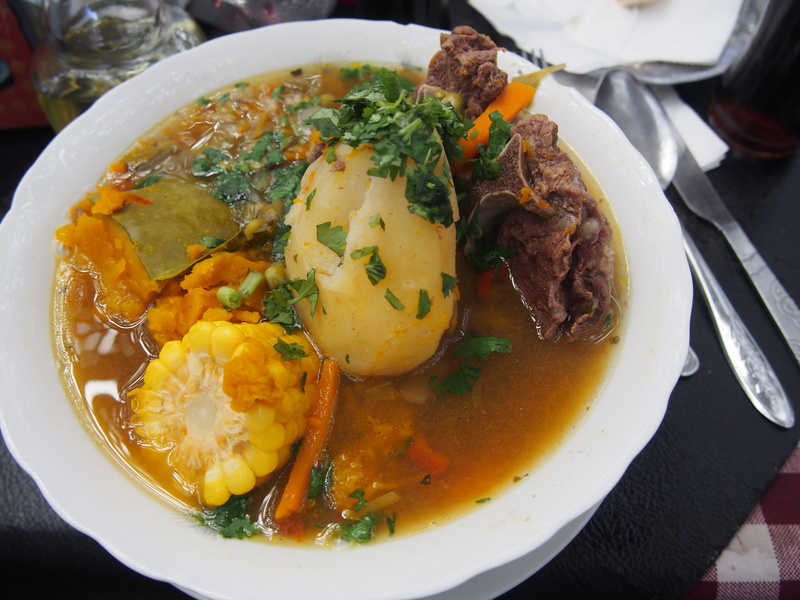 In general we noticed that the Chilean food is not very healthy and that they don´t have an own style. For example, they eat chicken with french fries, hot dogs and even the soup was stuffed with all kinds of ingredients (potatos, meat, corn, …). 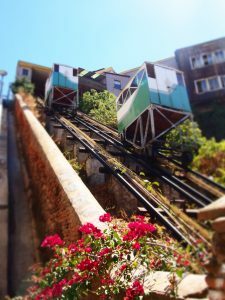 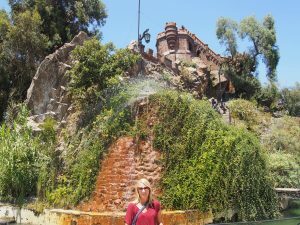 Cerro Santa Lucia is like a small park on a hill which is a great place to rest from the city and enjoy some more city views. 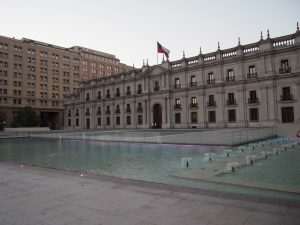 This museum takes you through the moving history of Chile during the military dictatorship 1973 to 1990 on three floors. 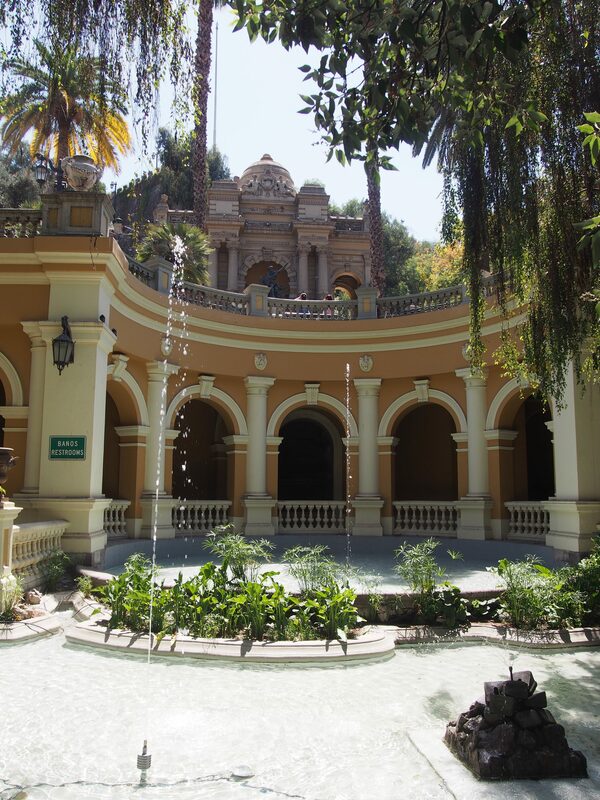 It was a good place to see during our first days in the country in order to understand its recent history. Unfortunately most of it was in Spanish so it was difficult to understand for Jens. 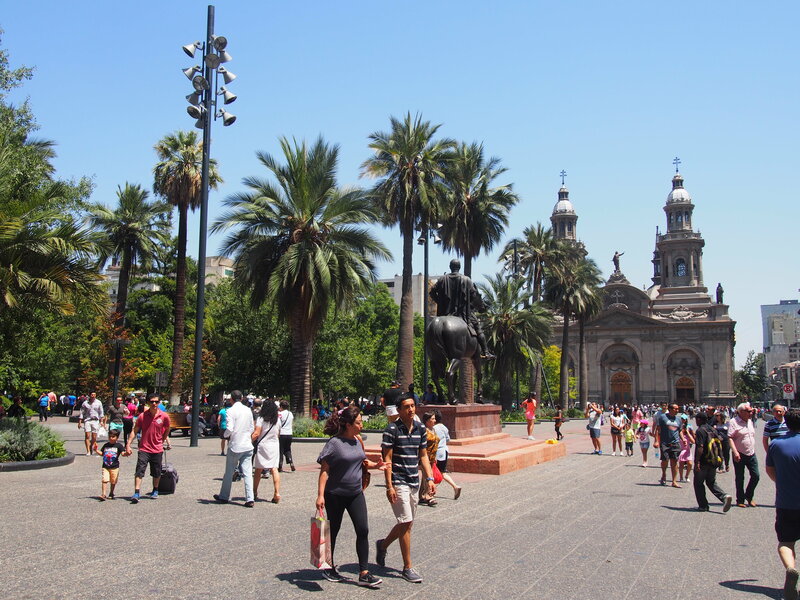 Plaza de Armas is a very lively place. There are tourists and locals, men playing chess. 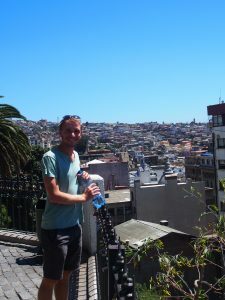 Jens was fascinated and watched the games for a while. 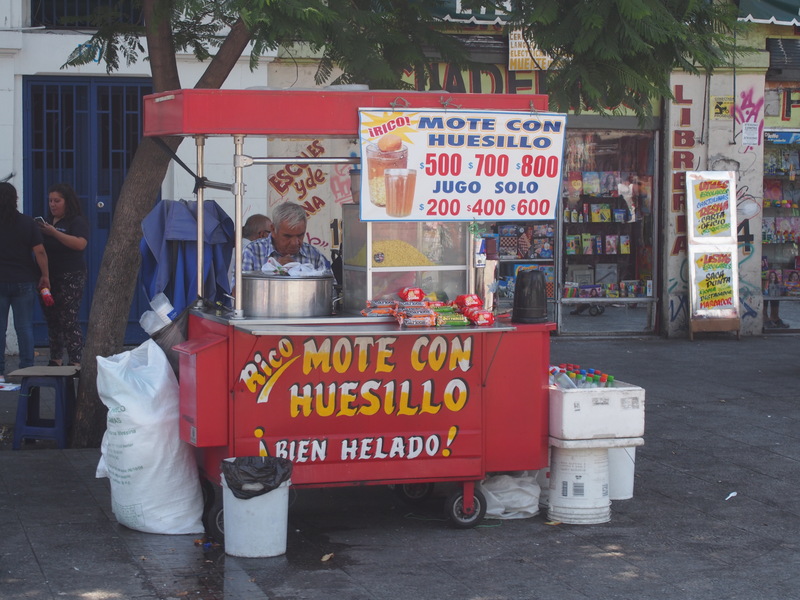 The Mote con Huesillos is a strange Chilean drink. 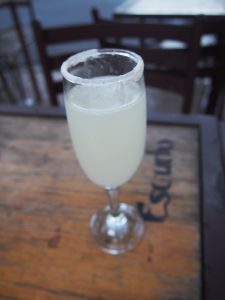 It´s peach juice with corn, which they eat/drink with a spoon like cereals. 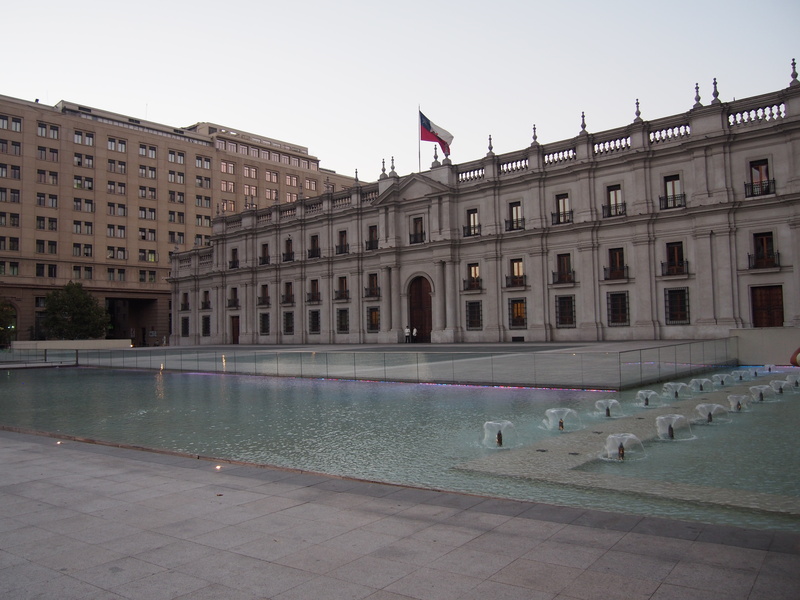 Palacio de la Moneda, the presidential palace, is very close. Knowing the history of this building, bombed by the military and the place where the former president comitted suicide, it is an impressive place. Even though we were really tired, we had to go out for some Pisco Sour during our first days in Chile. 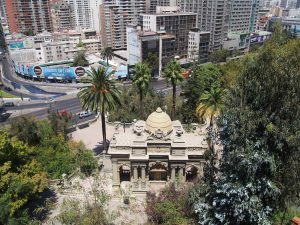 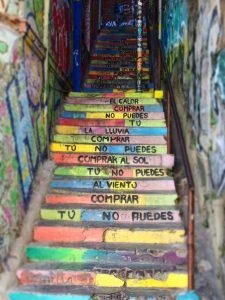 There are different parts of Santiago that are great for a night out. 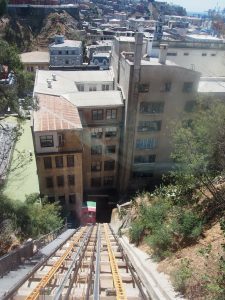 One of them is Bellavista, at the bottom of Cerro San Cristobal. 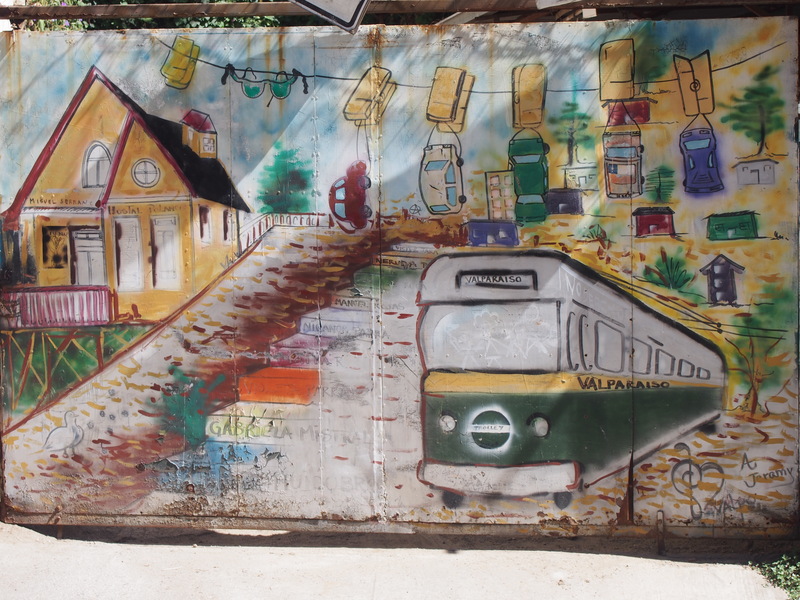 There is one street full of bars and clubs, that reminded us a little bit of Mallorca. 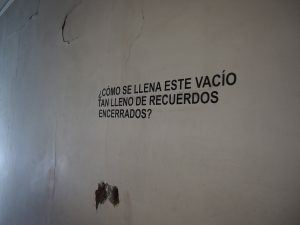 But, since we didn´t want to walk too far this night, we had a drink there. 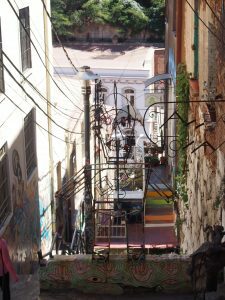 We should have walked 5 minutes more, because on our way home we found the Patio Bellavista, which is a courtyard with a lot of really nice bars and restaurants and even live music on many nights. We stayed a little longer to watch a Cuban band playing that night. 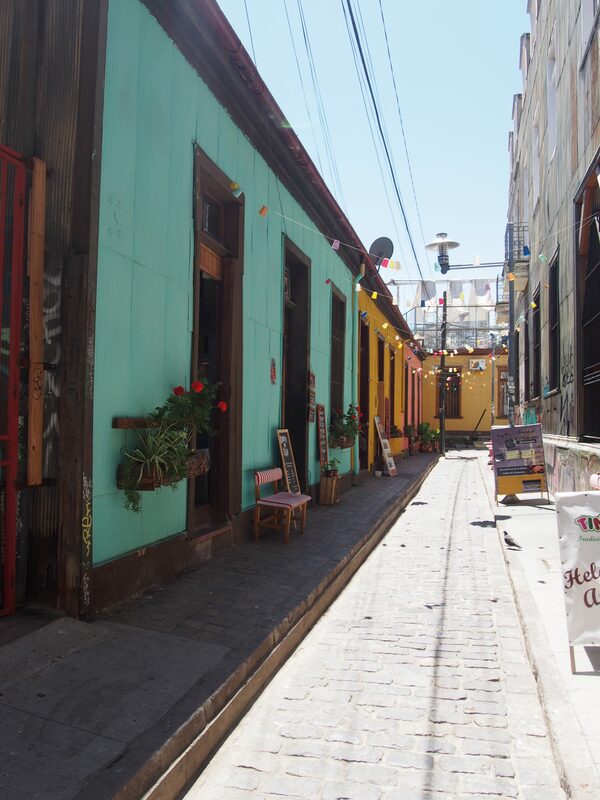 Another hip quarter is Barrio Lastaria. Close to the university it got a young vibe. 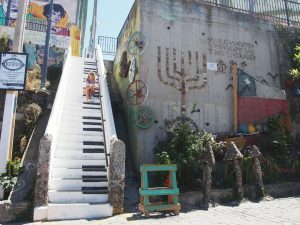 Barrio Brazil also got a nice choice of bars around Plaza Brazil. 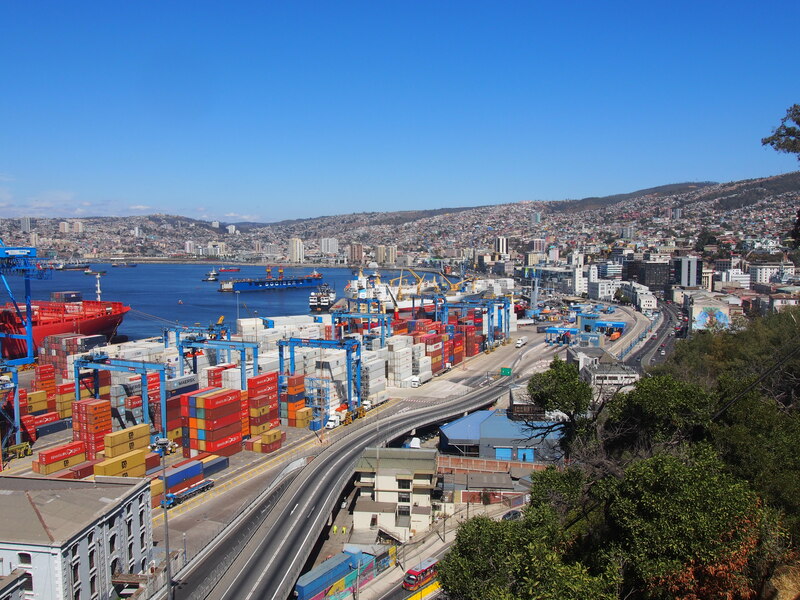 Our next stop was Valparaiso, only a 2-hour bus ride from Santiago. Valparaiso has been one of Latin America´s most important seaports, but lost its importance when the Panama Canal was opened. 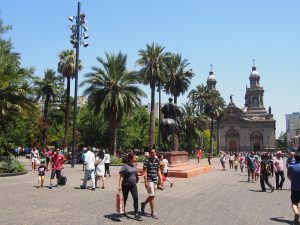 Today it is also one of the main touristic centers of the country. Its hills full of colourful houses and stairs, looking over the port and the ocean, turn it into a very picturesque place. You don´t need a map wandering around, just walk up and down the hills as the streets take you. 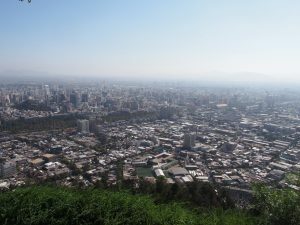 The most beautiful parts are Cerro Concepción and Cerro Alegre. They are close to the harbour. Part of the fun is taking one of the old „ascensores“ which take you up the hill and are so old and rattly that you wonder how they still work. Unfortunately they are modernizing many of them, so they are not as nice anymore. Acensor Artilleria takes you up to a really nice viewpoint. 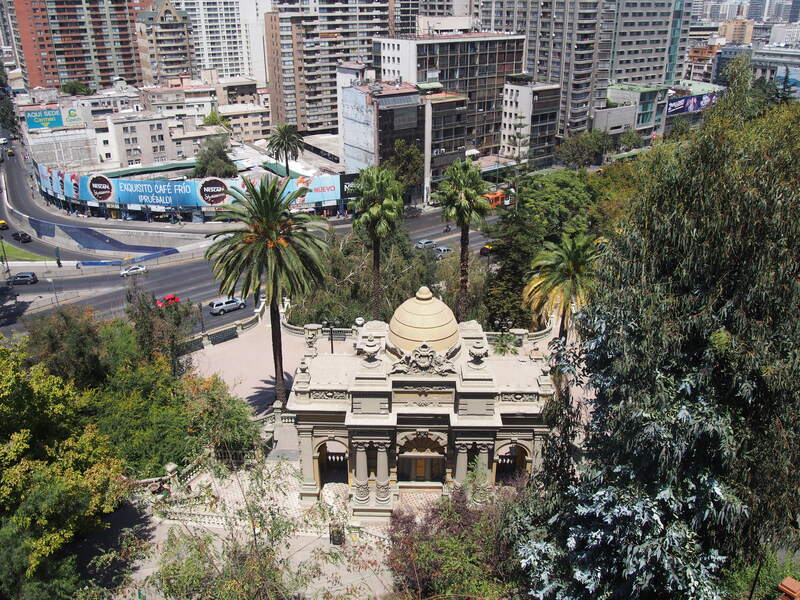 Other nice viewpoints are Plaza Bismark and La Sebastiana, the old house of Pablo Neruda. 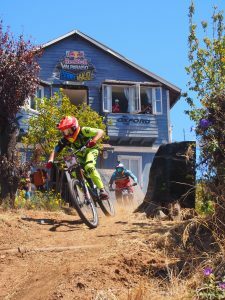 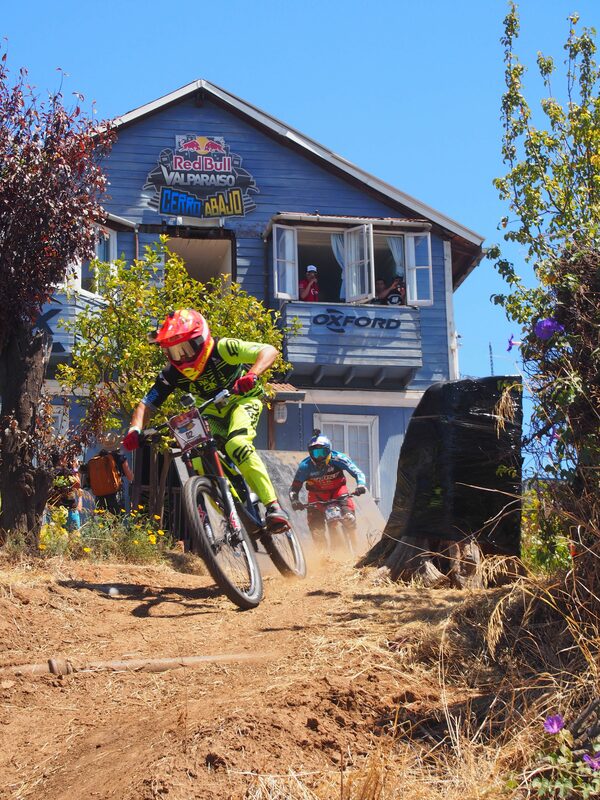 On our second day of sightseeing, we accidentally ran into Redbull Valparaiso Cerro Abajo, apparentely one of the world´s best downhill races. 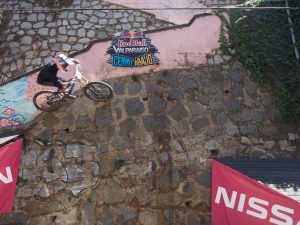 It starts on top op one hill and takes the bikers through the whole city. 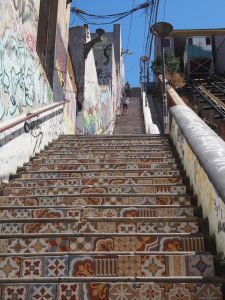 It was spectacular to watch and we missed half a day of sightseeing because we followed almost the whole route to the top. 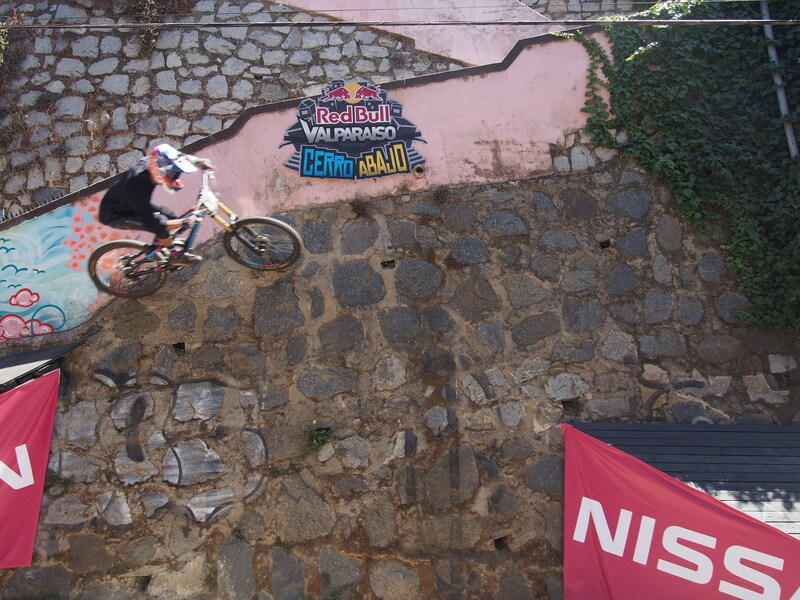 Watch the videos of Red Bull to see more. 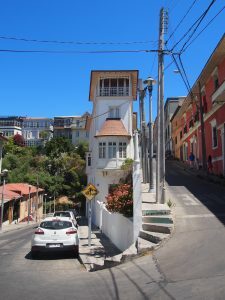 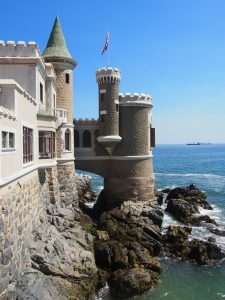 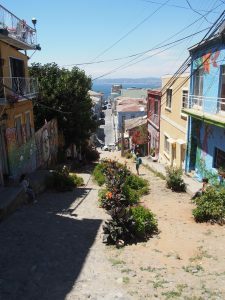 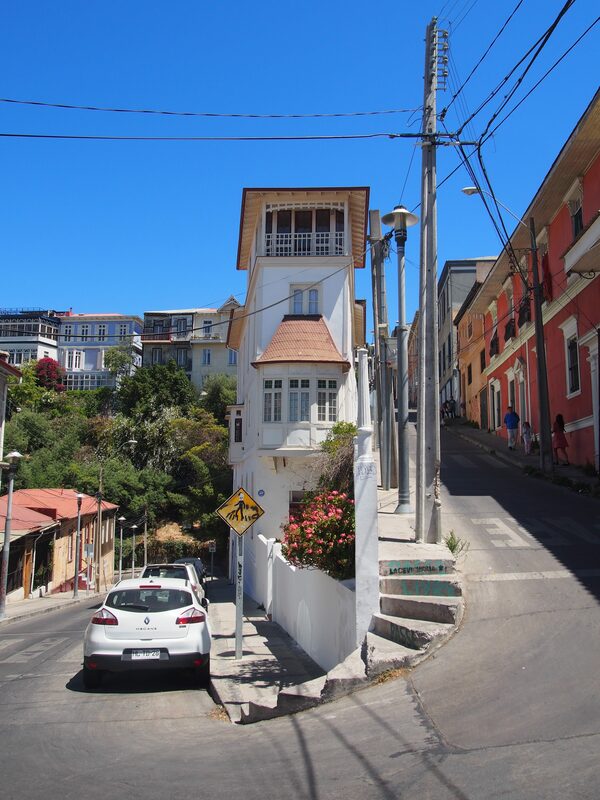 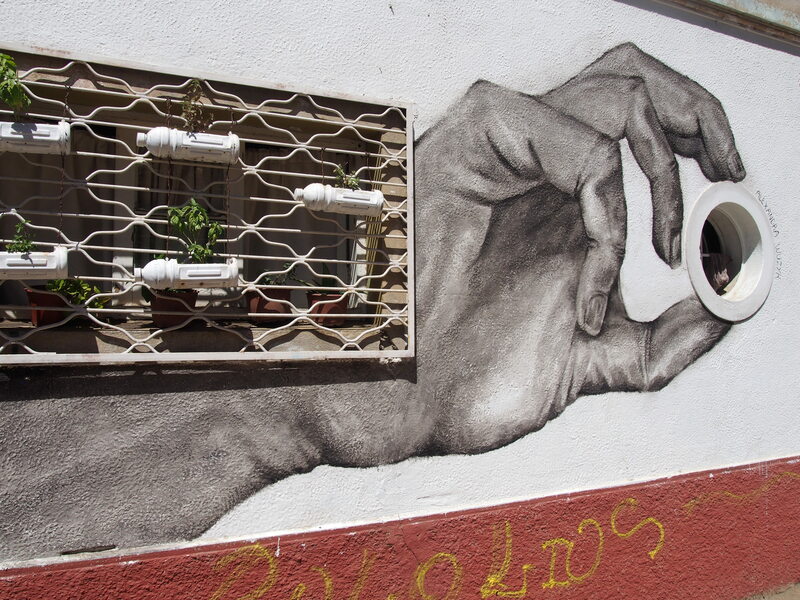 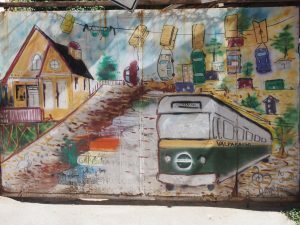 Valparaiso´s neighbour city is a beach city with good nightlife and a weekend get-away for people from the city. 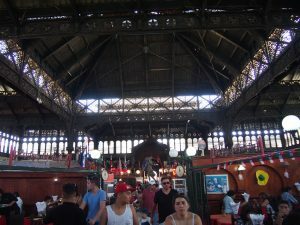 It was totally packed when we got there because that weekend a big music festival started here. 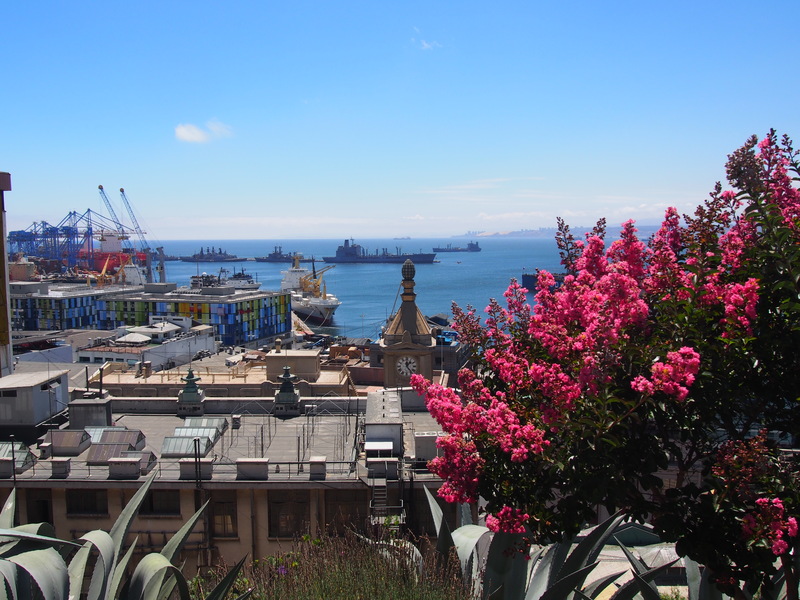 There isn´t too much to see in the city, expect a clock made of flowers and walking alongside the ocean. 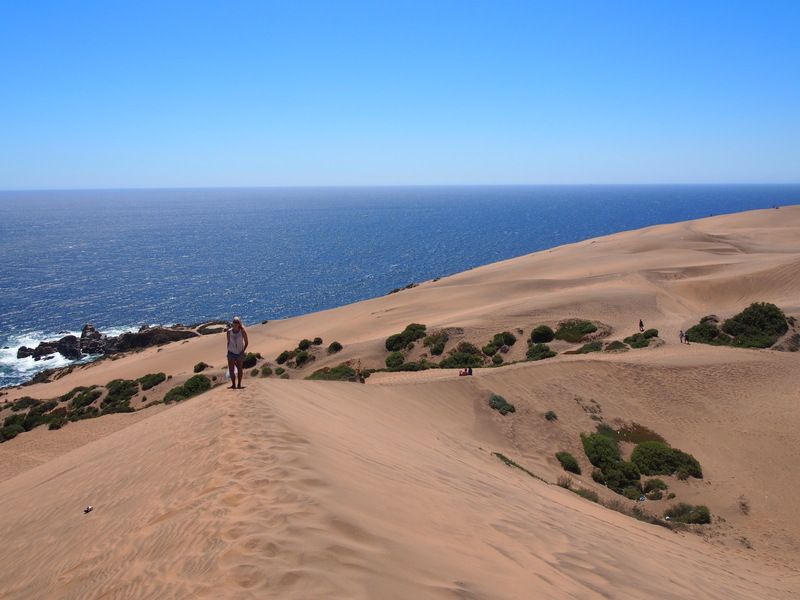 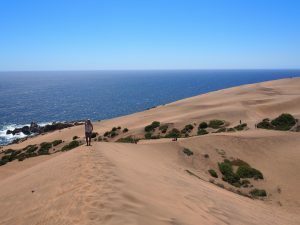 We spend half a day here and then got on a bus to Concon, where they have nice sand dunes. We were the only people stupid enough to show up in flip flops, not thinking about how hot the sand gets in the sun. 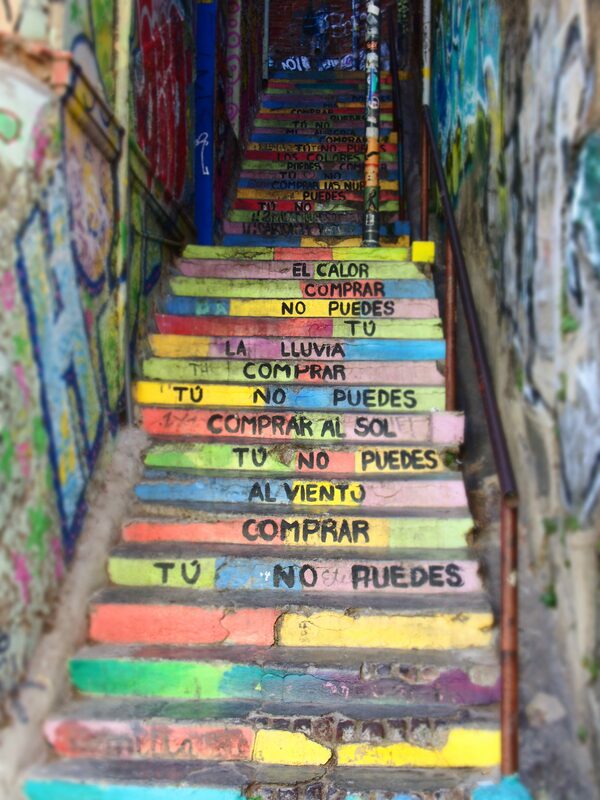 But once halfway up, there is no point of return and you just have to move on and burn your feet. 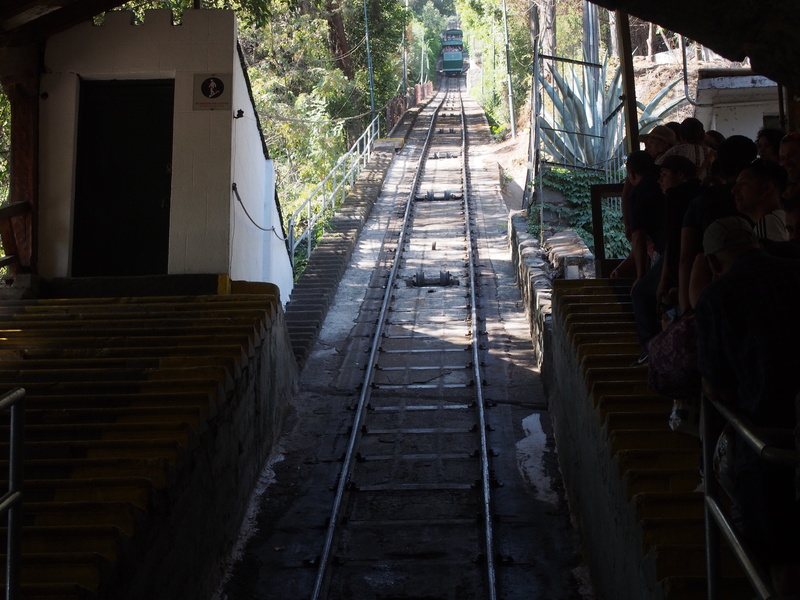 We walked up on one side, back down on the other, and then noticed that we had to return the same way. It was a torture for our feet! ← Goodbye Australia, hello South America!